The Writers Guild of America has just announced the nominees for its annual awards, and HBO and GAME OF THRONES are both well represented on the shortlists. The writing staff of GAME OF THRONES season four (David Benioff, D.B. Weiss, Bryan Cogman, and me) scored another nomination for Best Dramatic Series. We'll be up against THE GOOD WIFE, HOUSE OF CARDS, TRUE DETECTIVE, and MAD MEN. But that's not all. 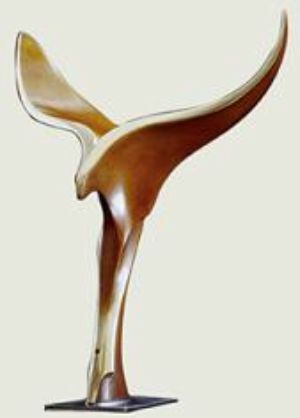 In the Episodic Drama category, my own season four episode, "The Lion and the Rose," was nominated. It will be competing against episodes from THE GOOD WIFE, RECTIFY, MAD MEN, and two strong BOARDWALK EMPIREs. Tough company indeed. But I am thrilled by the nomination. The last time one of my scripts was nominated was 1987, when one of my TWILIGHT ZONE episodes was a finalist. (I lost to Harlan Ellison, with another TZ script). So it's very cool to make the shortlist. Been hearing great things about True Detective and Rectify, but haven't seen them yet. House of Cards is another one of my favourite shows. Congratulations to all involved! Well deserved. "War is war, but killing a man at a wedding...horrid. What sort of monster would do such a thing?" Entertainment Weekly just listed The Lion and the Rose at Number 3 on its best episodes of the year list. please no contest in my opinion. boy do I wish i were on the jurors panel!! Congrats! That is wonderful! I can't wait for the new GOT season to start! That was a most excellent episode. Congratulations on the writing nomination, Mr. Martin. I thought that episode should have been nominated for an Emmy. Even though there is stiff competition, I think you have a very good shot. Congratulations! I have enjoyed the books and the show immensely and Look forward to many more offerings from you (I must admit I have a lot of backtracking to do). I saw there were offerings with your name on it in the Worldbuilders auction run by Pat Rothfuss and his crew. Not only do you do good work, but you do good works. Thank you again and see you at the Cocteau!